In a crowded room, a leader can scan the room and spot people who have the potential. They have a different way of seeing things that enables them to spot opportunity when other people just see chaos. In essence, they have the eye for spotting talented people. Patience is the leader’s greatest virtue. They are willing to invest time and nurture people whom they believe have what it takes to develop to be leaders of tomorrow. I call the willingness to invest planting the seeds for leaders of tomorrow. True leaders will take the time and commit to raising people. No matter how busy they are, they always find the time to help others. Leaders don’t develop people around them because they want to prove something. They do it because it is the right thing to do. How do leaders plant the seeds for leaders of tomorrow? Spotting – Leaders have an eye for identifying talented people. Because of the breadth and depth of their experience, they are able to see what other people don’t see. When they interact with people, they can assess their capabilities. Spotting is where it all started. There won’t be developing talent without identifying a possible leader. Planting – Occurs when a leader approaches the potential leader for mentoring or coaching or engages them in development discussion. However, the key to planting is the commitment. Both parties must commit to the time investment and the effort to make it work. Nurturing – Is watering and fertilizing. This comes in the form of monthly meetings, feedback review, providing challenging opportunities and encouraging the mentees to stretch their wings and try other things they would otherwise not attempt to do. The coaching and mentoring are the fertilizer that can help develop leaders. This is the longest stage of the development process. Pruning – Leaders teach the potential leaders to embrace the challenges. The leaders are there for the mentee when they fail to achieve their goals. The leaders guide and provide corrective actions that can help the mentee grow and bounce back. Transplanting – At this stage, the mentee has learned and demonstrated what it is to be a leader. The mentee is ready to face the world alone. The leader is willing to let go and let the eagle fly and spread its wings. It is time to develop the next leader. When I use the phrase planting the seed, I can see and feel the picture of transformation across all five stages. All throughout the process, the leaders never waver and make excuses. The leaders see to it that the need of the mentee is addressed and time investment is provided. 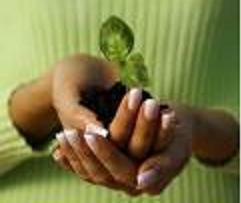 Like a plant, if you plant the seed, fertilize, water and nurture it, the plant will grow. I urge you to try the planting the seed for leaders of tomorrow and let me know the result. Feel free to reach me at will.lukang@gmail.com. Next Career Stations – Where is your stop?